You can download the Health Intake Form by clicking on the picture of document above. (requires Adobe Reader – download the latest version here for free). 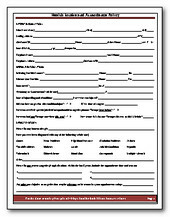 Please complete and save the form. Submit the saved documents via email to charw@forkshospital.org. Forks Community Hospital Physical Rehabilitation Services offer hospital-based inpatient and outpatient Rehabilitation Services for all ages. 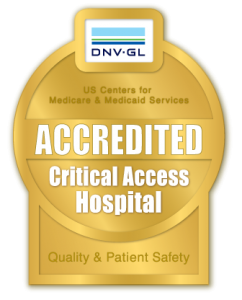 Here at FCH it is not a “one-size-fits-all” approach; each patient is thoroughly evaluated to determine the most appropriate course of care. 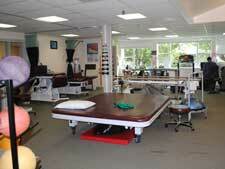 We provide physical rehabilitation programs and services that optimize patient health, function and quality of life. 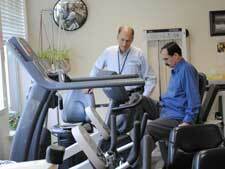 Our continuum of care can follow our patients from hospital stay to outpatient rehab. With the bulk of our case load being in an out-patient setting, our staff has experience and expertise in many facets of the rehabilitation setting, including but not limited to both Physical and Occupational Therapy. Interests/Hobbies: Reading, world missions, Christian apologetic, poverty, bicycle riding, helping his wife with her English garden. Professional Interests: Neurological Diagnoses, Vestibular Dysfunction, Gait and Balance Training, Orthopedic Conditions. Interests/Hobbies: Running, crossfit, traveling, and her Boxer dog, Harbor. School: Bachelor of Science in Exercise Science/Sports Medicine from Southern Connecticut State University, Masters in Health Education from East Carolina University, and Doctorate of Physical Therapy from Frankline Pierce University. Professional Interests: Nancy enjoys assisting patients with their recovery and progress following orthopedic procedures. Interests/Hobbies: Clallam County Search and Rescue, Community Emergency Response Team (Joyce), painting, hiking, gardening, and camping. Specialty: Caring for the elderly and developmentally disabled of all ages. Schooling: NAC Nursing Assistant Certified, RA Restorative Aide, PRA Physical Rehabilitation Aide. Professional Bio: Tina helped develop both the Long Term Care and Physical Rehabilitation Services Departments. She served on the original LTC team and was a big part of developing the current Physical Rehab. Services department: She continues to care for people both on LTC and Physical Rehabilitation. Professional Interests: Tina is a “jack of all trades” and prides herself in being able to assist with patient and resident care from scheduling, billing, ordering supplies to giving the residents the personal care and attention they need to continue a high quality of life. Her main goal in her career has been to encourage participation in exercise and activities that help individuals maintain a high quality of life. In order to do this she has pursued continuing education that would enhance her skills in understanding these cognitively challenged individuals whose specific needs may be otherwise misunderstood or left unrecognized. Interests/Hobbies: Reading, traveling, sewing, and walking. Professional Bio: Graduated from Forks High School in 2007, graduated from Brown Mackie College in 2012, worked at Skilled Nursing Facility from 2012-2015,and returned to Forks in 2015 to work at FCH. Interests/Hobbies: Anything outdoors, camping, hiking, fishing, family time with husband and their two children, crafts, and projects around the house. 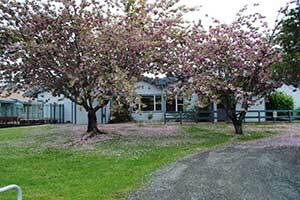 School: Ashmead College, Everett, WA & Port Townsend School of Massage. Professional Bio: Advance Medical Massage, Certification in Orthopedic Massage, Reiki, Thai Yoga Massage, and Qi-Gong. Professional Interests: Shantell’s passion is assisting individuals in their goals to advance from pain and dysfunction to Health and Balance. Interests/Hobbies: Friends, family, community, home improvement, learning, horseback riding, hiking, reading, singing, and baking.